Tropicana Casino & Resort in Atlantic City, N.J. Many regional shows opt for a marquee fight at the top of the card and then varying levels of talent to round out the lineup. Ring of Combat can’t be accused of following this trend, especially with its 50th show. The New Jersey-based promotion has stacked its latest offering with piles of gold. 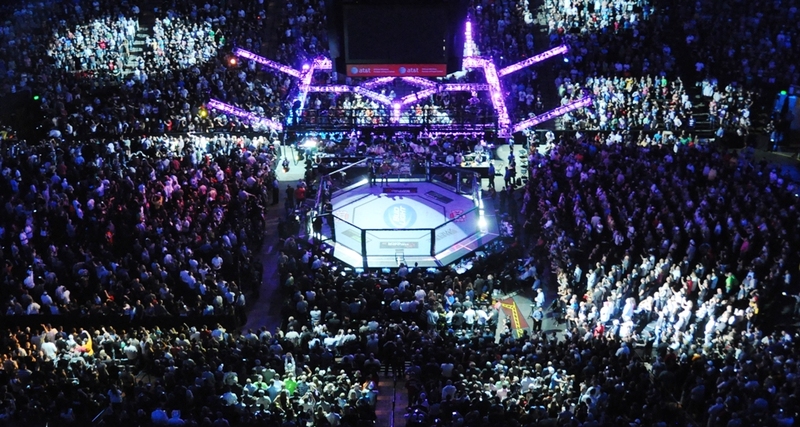 Among its many title fights, the event features the best match-ups at the lighter divisions. The spotlight therefore falls on bantamweight champion Julio Arce and his latest hurdle, challenger Thomas Vasquez. Arce made his professional debut in 2012. 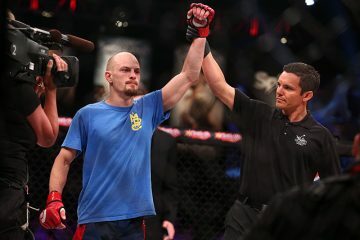 The Tiger Schulmann product has marched through all six of his opponents, taking three wins by decision, two by submission and one by knockout. Arce, who also compiled a stellar record as an amateur, defeated his first four opponents before fighting for the bantamweight crown against Strikeforce veteran Jason McLean. Arce edged McLean on the scorecards to capture the belt and then defended it eight months later with a submission victory over Jake Grigson. The 25-year-old southpaw is a New York Golden Gloves champion boxer and a WKA kickboxing champion. Vasquez, who debuted as a pro in 2011, had similar levels of success as an amateur, though he did suffer a few losses early in his amateur career. And, just like Arce, Vasquez started his pro career with six straight victories. “The Die Hard Kidd’s” spotless record earned him a spot on the Bellator roster, where he debuted against Marcos Galvao in May 2014. Galvao handed Vasquez a unanimous decision loss. 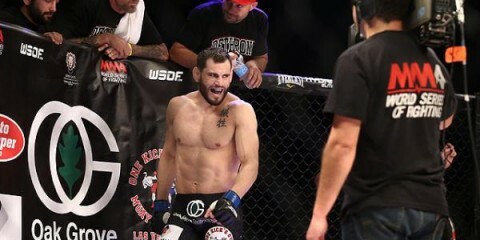 The Fisher’s Bang Gym product returned for his sophomore Bellator outing against Mike Hernandez and once again found himself on the wrong end of the unanimous verdict. 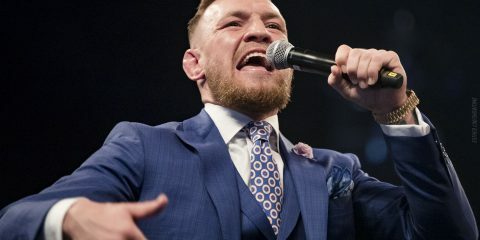 The 28-year-old has done his best work on the ground, where he has stopped six of his amateur fights and three of his pro contests. His victories came against a group of opponents whose current combined record stands at 13-35, whereas his losses came to a pair of opponents with a current combined record of 24-9-1. 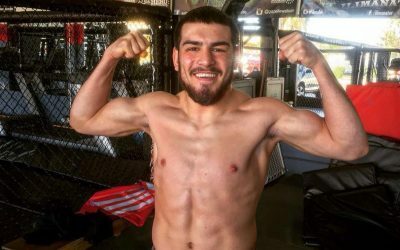 Despite his current two-fight skid and a resume that largely features wins over sub-.500 talent, Vasquez remains a threat to unseat Arce as the promotion’s bantamweight kingpin. 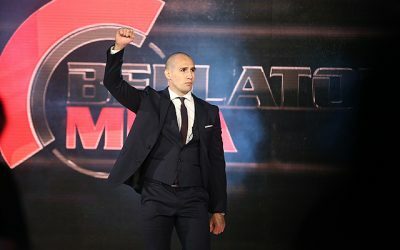 The grappler did not succumb to his two Bellator foes. Instead, he pushed both fighters for the full 15 minutes. 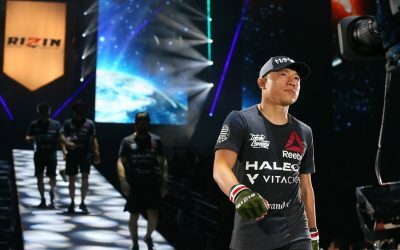 Arce has his own questionable set of opponents — many have been in the rockiest patch of their career when facing Arce — and he probably hasn’t fought anyone who can test him on the ground to the extent that Vasquez will. Arce is a very highly touted prospect, though. He has the superior striking and should be able to keep this fight on the feet. He does have a tendency to go for the rear-naked choke, but he might not be quite as tempted to go for a submission finish against a grappler of Vasquez’s caliber. Vasquez is perfectly happy to stand with opponents. That could cost him greatly in this affair. He tends to apply pressure and walk down his opponents, but his stand-up style is awkward and he often leaves his chin for the taking. Arce hasn’t displayed the knockout power to suggest that he can get knockouts with ease, but he can certainly score points with the judges through effective counter striking. It’ll be enough to secure Arce another decision nod. Battlefield Fight League is set to host its 34th event this weekend. The Canadian promotion’s lineup features Jeremy Kennedy and Mario Pereira, a pair of undefeated featherweights vying for the 145-pound championship. Kennedy made his pro debut in 2013. The Team Quest Thailand product has notched victories in all six of his fights. The 22-year-old has only gone the distance on one occasion. He has delivered three finishes by some form of knockout and two via submission. Kennedy has hopped around between the bantamweight, featherweight and lightweight divisions throughout his career. Pereira is a grinding fighter with a wrestling background who has only scored one stoppage victory since making his pro debut in late 2012. 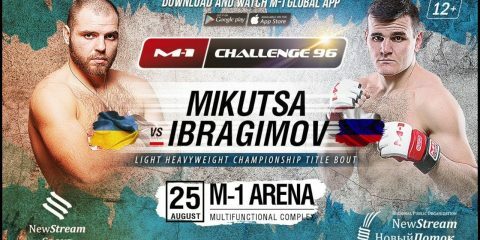 The 25-year-old, who trains out of H2O MMA, has notched one unanimous decision victory and eked out two split decisions. The early portion of his amateur career include several submission victories, but he ended his amateur run on a streak of decisions. The Montreal-based fighter will be giving up five inches in the height department against Kennedy. Kennedy is a finisher, whereas Pereira isn’t. 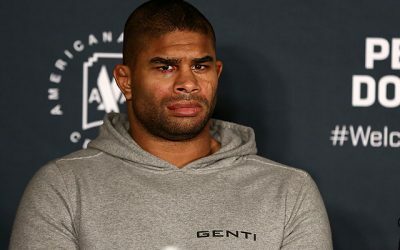 Kennedy is a fighter who has posted clear-cut wins in all of his fights, whereas Pereira has a habit of keeping things close. This fight certainly has to lean in favor of the flashier, more experienced fighter, but that doesn’t mean a victory is a foregone conclusion for Kennedy. Pereira specializes in grinding fights, and he could easily make this an ugly battle for Kennedy. Yet, Kennedy has too many tools at his disposal. He fights long and should enjoy a significant reach advantage over Pereira. He’s also a very slick grappler who could catch Pereira in a submission on the ground. Pereira might be able to transform this into a grueling fight that goes the distance, but even then he might fall short on the scorecards. Kennedy’s not too shabby with his takedowns, either, which opens up the possibility that he could plant Pereira on the mat and take control from top position. Kennedy closed out 2014 with a pair of impressive submission wins. 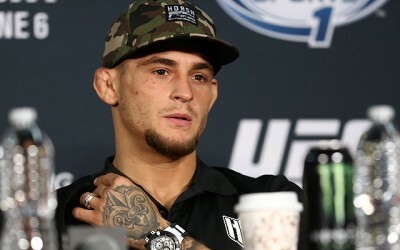 Don’t be surprised if he adds another slick submission to his highlight reel en route to defeating Pereira and capturing the Battlefield Fight League’s featherweight title. Caol Uno might not register as a star in the United States, but the 39-year-old UFC veteran is still going strong in his native Japan. 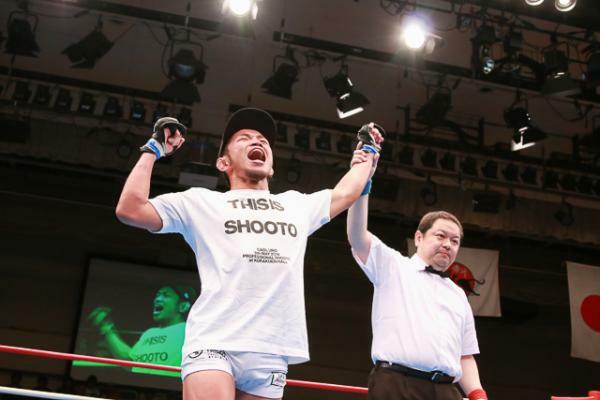 This weekend, Uno finds himself in the top billing of Shooto’s 1st Round 2015 event. He will square off with Yoshifumi Nakamura for the Pacific Rim 143-pound title. Uno has been fighting professionally since 1996. After debuting with a loss to Hayato “Mach” Sakurai under the Shooto banner, Uno went on to compete for a number of promotions, including two stints with the UFC. 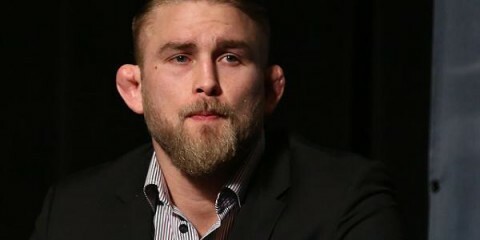 Inside the Octagon, the judo and Brazilian Jiu-Jitsu black belt struggled to find consistency, going 3-3-1 in his first tenure and 0-2-1 in his second run. 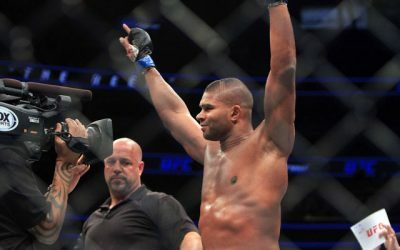 After a tough stretch from 2008 to 2012 in which he won just one fight in eight appearances, the veteran fighter has rebounded with a strong showing over his last six fights. He has gone undefeated in that stretch, with four submission wins and two unanimous decision victories. The 26-year-old Nakamura made his pro debut in 2009 and already has 22 fights under his belt. He’s not much of a finisher, though, with just four submission victories. The Mach Dojo product has seen the scorecards in 17 of his fights, and 13 of those contests have gone in his favor. Despite his lack of finishes, Nakamura is an aggressive fighter, both on the feet and on the mat. Nakamura’s aggressive style should translate better to finishes, but it doesn’t. He’s capable on his feet and relentless with his takedown attempts, and the approach has led to a number of judges’ nods. However, he has a bad habit of falling short against the most notable names on his resume. He has suffered losses to the likes of Taiki Tsuchiya, Hiroshige Tanaka, Wataru Miki and Yuta Sasaki. Meanwhile, Uno has been defeating all comers since 2013. His list of victims includes the aforementioned Tsuchiya and prospect Anthony Avila. Not only has Uno found a streak of success, but he’s an accomplished finisher. He doesn’t have a lot of power — only two wins by strikes, and the most recent of those came in 2001 — but he has a very dangerous ground game. He’ll have to work especially hard to get a submission in this fight, though. Nakamura has only been stopped once, and that finish came via TKO. This one is likely to go the distance. Uno isn’t perfect on the mat and has suffered several losses via strikes, so Nakamura cannot be counted out. If the 26-year-old’s aggressive fight style keeps Uno on the defensive, then the younger fighter could emerge with another decision win. However, Uno is riding a wave of momentum. Uno’s experience and grappling savvy provide the perfect counter to Nakamura’s aggressiveness. Nakamura’s resume proves that he’s out of his league when he takes a step up in competition. Uno certainly marks a step up. 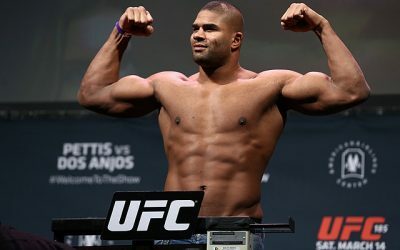 The UFC veteran might not be able to force a tapout, but his work on the mat will earn him the decision win.